When I don’t have time (or money) to go to nail salon, here’s how I take care of my nails and give my self a home made manicure. First of all, a vital part of this procedure is using the right tools such as clips and files. Buy yourself a quality nail kit that you can rely on for years. Next, use a good cuticle cream, so you can easily cut off (using the clipper) these annoying remaining cuticles. 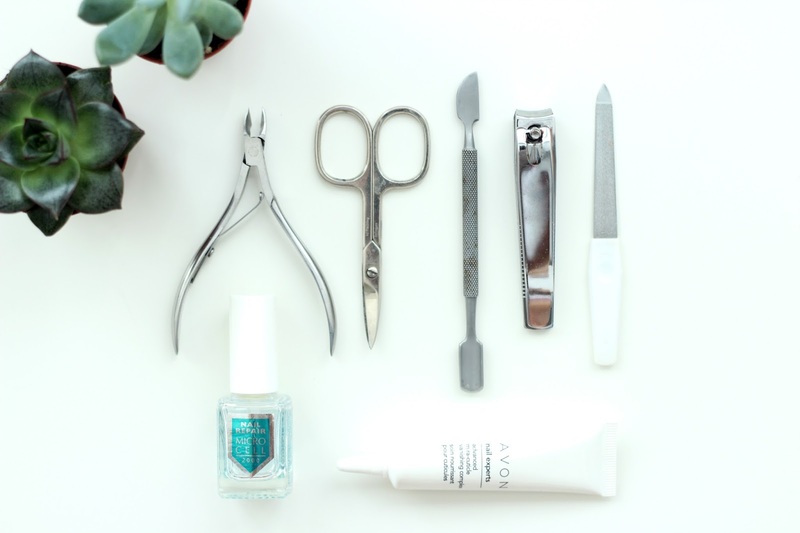 I’ve been using Micro Cell Cuticle Comfort 2:1* for quite a while now and have also recently discovered the Avon Nail Experts Instant Gel Cuticle Remover that I like as well. Finally, the last step is a reliable nail repairing polish. Here, I’ve had a great success with Micro Cell Nail Repair*, when my nails were in a really fragile and breakable state. Other options that also have good results and might be more easily found, are Avon Nail Experts Gel Strength Base Coat and Essence Studio Nails Ultra Strong Hardener. My advice is to start with one coat of the base and then keep on adding one every other day for a week. This way you will give your nails a break from the regular nail polish and they will be able to grow healthily. Of course, if you’re keen on doing your nails at home, always make sure to apply a base coat before the polish. And how do you take care of your nails? How to choose the perfect mascara? Great set to care of your nails. Nice tools!! Thanks for sharing this great tips!